Hepatitis D Virus or Hepatitis delta virus (HDV) is a subviral agent that can lead to severe acute and chronic forms of liver disease in association with hepatitis B virus. It is a defective virus and can only infect humans with the help of another virus. It means that an infection with Hepatitis D Virus only occurs together with an infection with Hepatitis B Virus. 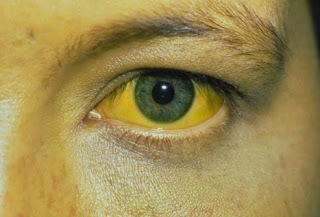 Hepatitis D Virus infection usually results in a severe type of viral hepatitis associated with increased mortality and rapid evolution to cirrhosis. Furthermore it exacerbates a chronic Hepatitis B infection. Hepatitis D Virus is highly endemic to several African countries, the Amazonian region, and the Middle East, while its prevalence is low in industrialized countries, except in the Mediterranean. Recent extensive analyses of Hepatitis D Virus-sequences from strains isolated from patients of African origin have shown a high genetic diversity of Hepatitis D Viruses. To date, eight major clades have been individualized with strong phylogenetic support; their proposed labels are HDV-1 unto HDV-8. The genetic diversity of Hepatitis D Virus is related to the geographic origin of the isolates. Apart from HDV-1, which exists globally, each virus clade is geographically localized: HDV-2 is found in Japan, Taiwan and Yakoutia, Russia; HDV-3 in the Amazonian region; HDV-4 in Taiwan and Japan; while HDV-5, HDV-6, HDV-7 and HDV-8 all reside in Africa. There's quite a lot of diversity within each clade and, because Hepatitis D Virus is a defective virus, it is prone to mutations.